A carousel is an amusement ride,consisting of a rotating circular platform with seats for rides. 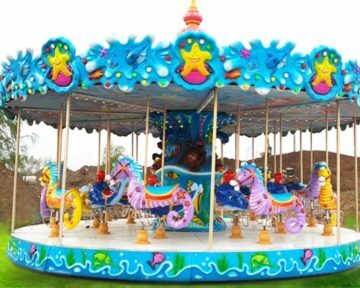 It’s moved up and down via gear work to simulate galloping, to the accompaniment of looped circus music.Carousel can be equipped with decorated horses or other animals. welcomed by young people and loved by children. 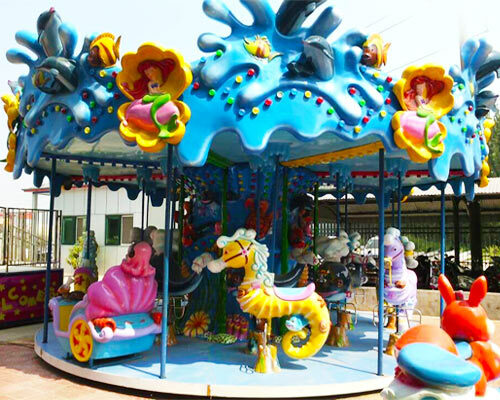 It is widely used in playground, square, kindergarten, pleasant spot, etc. 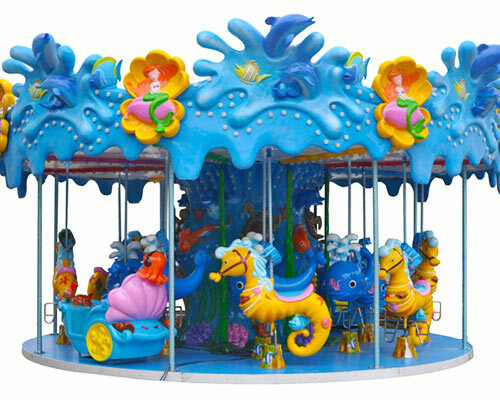 High-quality fiberglass reinforced plastic,environmental,corrosion resistance,high stability and reliability. 16 Persons 220V/380V 3.5KW 6m 3m ….